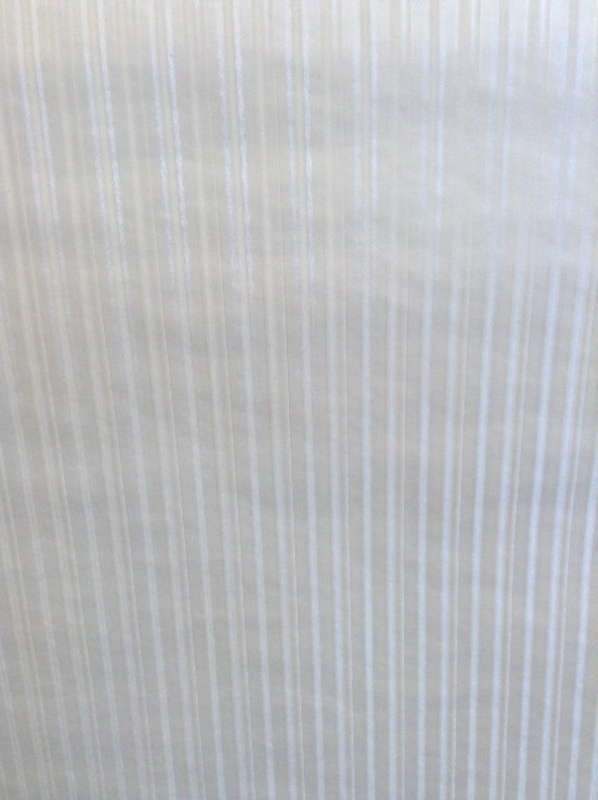 Wallpaper white satin stripe. Elegant white on white stripe wallpaper pattern suitable for contemporary or traditional décor. Has texture and is durable. Adaptable to many rooms–living room, bedroom, dining room, entranceway. Neutral backdrop for artwork. Usage: Ideal for a Dining Room.